and clinical assays geared towards inherited metabolic disease. d: schematic of pathways of intermediary metabolism, after Alberts et al., Molecular Biology of the Cell. Produced 22-Sep-95. 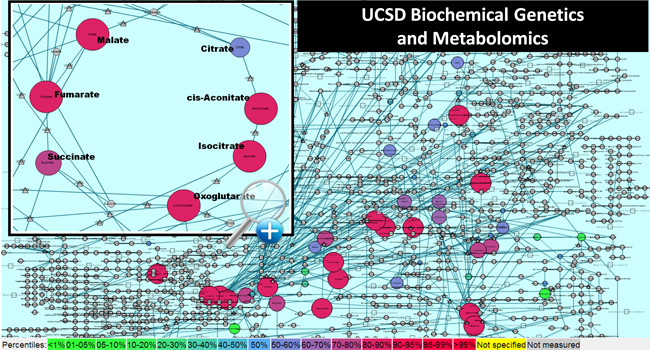 Bruce A. Barshop, M.D., Ph.D.
URL http://biochemgen.ucsd.edu/. Please email <bbarshop@ucsd.edu> for comments or questions.